It's time for the January Creativity Invitation prompt! Come see what we're playing with this month, and join in the fun! 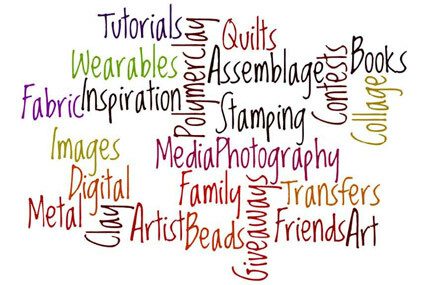 Cyndi thinks that the new year is a good time to look into bead and jewelry education! Cherie is painting the cover for her next poetry book.